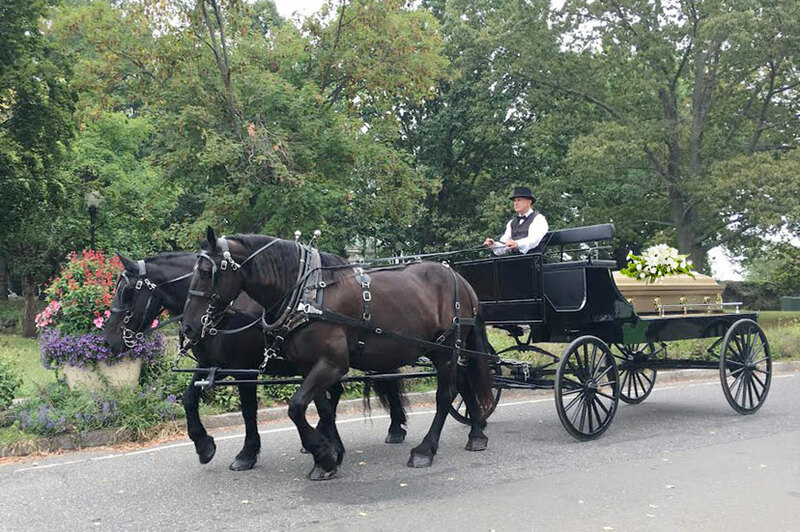 Our Open Horse Drawn Hearse, similar in style to a caisson, offers a stately way of transporting your loved one to their final resting place. It is black with chrome details and woodstain interior. 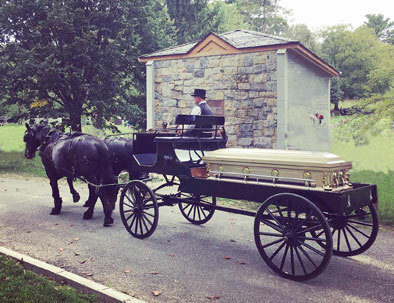 The open nature of this hearse allows for oversized caskets and flowers, and an ease for the pallbearers.The hitch wagon pictured is another option for those who would prefer it. 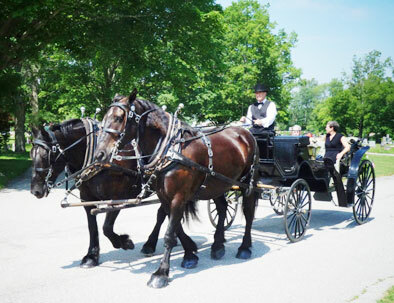 Any of our other horse drawn vehicles, such as our black vis-a-vis carriage shown here, may be hired for transporting family members, pallbearers, or crematorium urn to the gravesite. 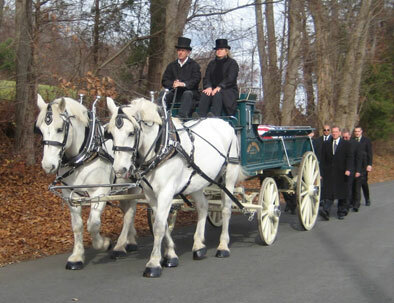 For pricing and other information, please call us at 860-376-8110. 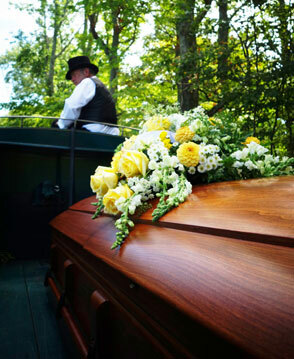 We service the Connecticut / Rhode Island / Massachusetts regions.